I vividly remember my then-boyfriend-now-husband coming home one afternoon when we were studying for our degrees, and telling me about a lecture he'd attended which talked about 'the flâneur'. Neither of us had heard the term before and were highly amused to learn about a small niche of 19th century men who dedicated their lives solely to the job of strolling the streets, alone, appreciating the modern-day urban landscape, as 'botanists of the street'. The french word 'flâneur' translates as saunterer, lounger, loafer, loiterer, dawdler*. The flâneur became a figure of fun in our lives at that time, who we gently mocked for living so self-indulgently, but also jokingly aspired to grow up to be, for no other reason than that it sounded like quite a nice life. The term suddenly popped into my head recently, when I was scrolling through pictures on Instagram and saw photos capturing beautifully coloured buildings, rooftops at dusk and bikes chained haphazardly around iron railings and I had the realisation that in some ways Instagram encourages a modern-day form of flânerie, inviting us to stop, appreciate and record the architecture and urban landscape around us. I felt unexpectedly delighted that this term, which had seemed so antiquated when I first heard it nearly twenty years ago, has now been reabsorbed in a more sustainable way, that can run alongside normal life and jobs, no longer just a preserve of wealthy males, but free to anyone who can afford a phone with a basic camera and the wish to turn the journey to work or a trip to the shops into something more enjoyable. 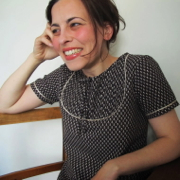 I googled for information about modern-day flâneurs when I had this thought, and found that Susan Sontag had jumped on this idea nearly forty years ago (I'm only a little late in making this connection, then!) when hand-held cameras had become more commonplace: The photographer is an armed version of the solitary walker reconnoitering, stalking, cruising the urban inferno, the voyeuristic stroller who discovers the city as a landscape of voluptuous extremes. Adept of the joys of watching, connoisseur of empathy, the flâneur finds the world "picturesque". 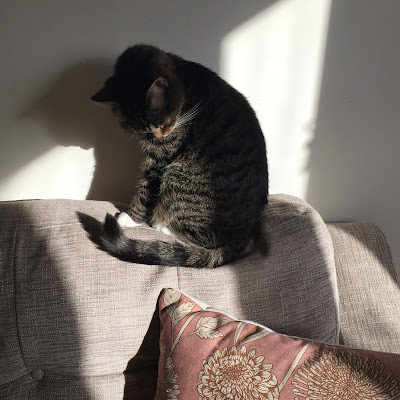 You may be wondering why I chose to illustrate this post with a photo of my cat on a sofa; a lack of more suitable photographic resources suggests I clearly did not grow up to be a flâneur. However, as I scrolled though my photos, I realised that I do take an excessive amount of pictures of creatures, sewing paraphernalia and woodland paths (also my family, but I don't tend to share those publicly), very much with a 'stop and appreciate' ethos. I recently learnt that an intense appreciation for surroundings isn't just confined to humans. During a conversation with my sister, where I was discussing my wish (currently stunted by my husband on the grounds of potential wind-dispersal of my 'litter') to leave scraps of Liberty print fabrics in the back garden in the hope that birds would use them to make beautiful nests in our silver birch tree, she told me about the bowerbird. 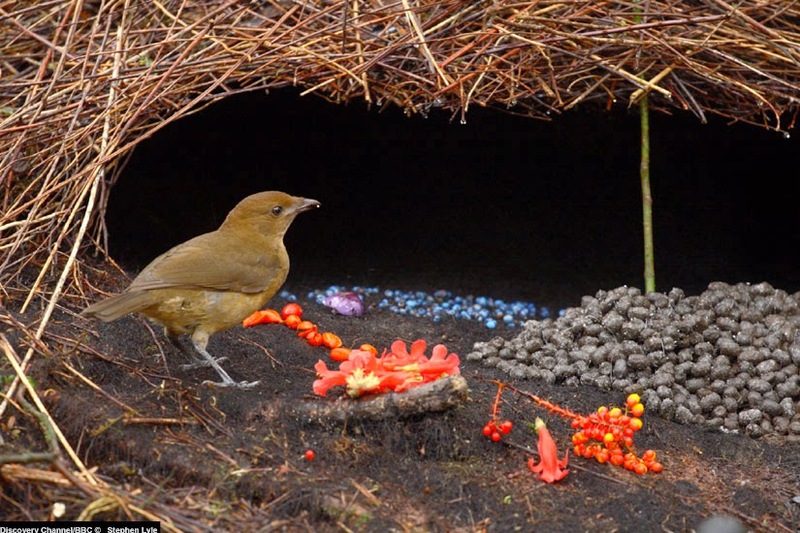 The male bower bird decorates an elaborately woven bower, with perfectly colour-coordinated bits of foliage, flowers and even rubbish, with the sole aim of attracting a mate. They can spend years perfecting the structure and the interior design of their wooing parlour. 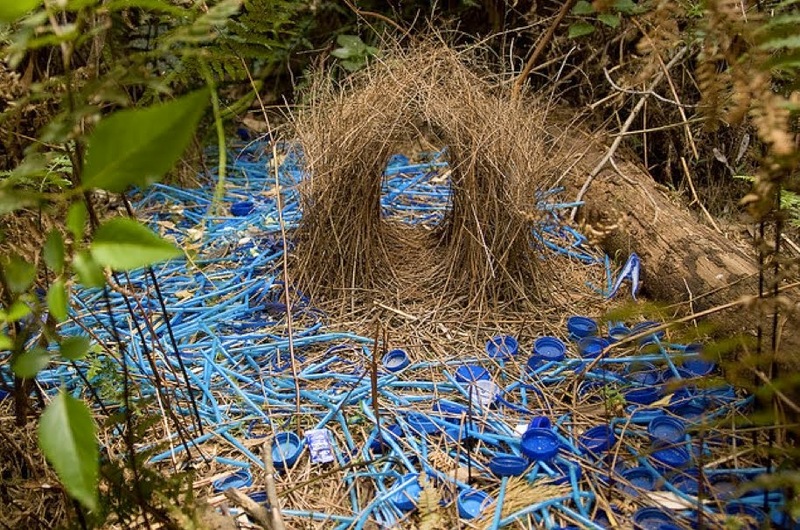 Here's a wonderful short video by David Attenborough about the bowerbird - the bower structures in this are incredibly beautiful, although modest in comparison to some! Do watch - it's five minutes of pure stomach-flipping wonder. 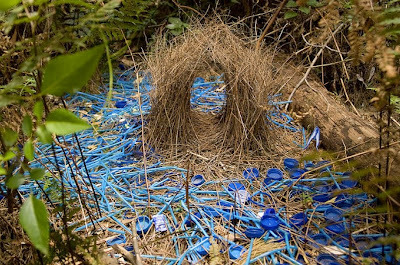 I believe that a bowerbird would truly appreciate some Tana lawn, but I think trusting in wind-dispersal as far as Australia and New Guinea, where the birds are found, is overly-optimistic. I'm quite unsure what the point of this post is, other than to tell you about words and birds that I've enjoyed thinking about recently. Do feel free to leave any of your own random thoughts in the comments. 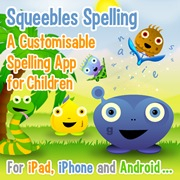 Chatting on the phone to my grandmother recently, she exclaimed warmly: Darling! You do remember an enormous amount of pointless information, don't you. So true. If only all the useful bits would agree to stay in there too. It's one of life's mysteries to me how people retain important bits of general knowledge. I am often left nodding blankly when people assume that I have some basic bit of geographical, historical or religious knowledge in conversation. Yet conversely, I can remember the spine colour of virtually every book I've ever read; identify the titles of most songs I like going back 30 years from just the first few opening notes; and name the shop where each piece of clothing my husband owns has come from without looking at the label, having never made any conscious effort to remember a single one of these pointless things. I'm aware that I could spend time learning the capital city of every country and memorising where each country is on a world map, but certainly amongst my own family and friends, these pieces of information are things they claim to just 'know' and to have absorbed by osmosis, rather than by memorisation, in much the same way as I have done with my book spine colours. I'd love to know how brains decide which bits of information to retain and which to let fall through the sieve and how to influence this. While over the last few years, I've become much better at remembering names by mentally linking a face to other people I know who have the same name, I think it may make life feel like a bowl of spaghetti to think up brain games for every piece of information I'd like to retain. If you have any thoughts on this, I'd love to hear them - I find it fascinating thinking about how different people think or even whether it's possible to become a different sort of thinker. * I think saunterer, lounger, loafer, loiterer and dawdler are all such delicious words, especially when grouped together. I'd like to add the word 'lolloper' in there, just because it would fit so well, even though it's not an official translation of the word. And because it reminds me of a line from one of my favourite films that my sister and I watched repeatedly as teenagers, 'P'tang Yang Kipperbang', set in the 1940s, where a teacher says to schoolboy, Alan Duckworth: You're a lolloper, Duckworth!'. Just to say that this post was a delight to read, beautifully written and I love your meandering thoughts. As someone who's easily mesmerized by not only bright lights, big cities, but also the less wholesome dodgy dark alleys/Oliver Twist side to urban life, it's wonderful to discover I may have flâneur tendencies! Yes, I agree - I really love photos that capture some of the less polished aspects of city life. Thank you for your lovely comment, Suzie. I really enjoyed this little post! I've never heard of a flaneur before, very interesting. And I have a bit of a crush on David Attenborough, so I will be watching that video later on my lunch break! Excellent stuff, all of this! I love those bowerbirds too, and I'm pretty sure there was a bit in the 'making of' section of whatever BBC series that was, where one of the birds took a bright chocolate wrapper from the cameraman's hide and put it in his display! It's so surprising that each bird really has his own style - one goes for flowers and iridescent beetles and the other wants a massive pile of dung and PLAIN dung, none of this fancy fungus thank you very much. Does flanerie require documentation? I know a lot of people feel that photography helps them be in the moment. I've just taken a mindfulness course and I wonder if trying to 'capture' the moment could be more about clinging to it rather than really inhabiting it?? Yes, it's just really, really funny that he had this huge pile of dung treasure, but then felt it wasn't quite perfect! I thought the birds showed so much character in their movements. My dad and I were just expressing the same thing about how some things just stick in your head - for us it is song lyrics - while more useful information just pours out as fast as it enters. The positive about the lyrics for me is many occasions throughout the day prompt me to remember a song. And I sing a wide variety of songs to my little one which I hope will be interesting to him when he gets older, although we also sing twinkle, twinkle and itsy bitsy spider. I agree, I loved this post! It was like having a tea with you! Well, I imagine anyhow! :) Thanks for the link to the bowerbirds - amazing! What a delightful post, and I am captivated by the idea of leaving Liberty scraps about so that birds might build nests with them. Please, do it! I'm also a retainer of pointless information, while things like history and geography will rarely find anchor in my grey matter. Although, I do recall a lot of David Attenborough! Lovely post. There's a wonderful book by Edmund White called The Flaneur about strolling through Paris. I read it on honeymoon there in 2007. Oh how well I would have done on my uni exams if I could've remembered my engineering notes as well as the lyrics to songs. Maybe I should have set them to music? I love that picture of the bower - it's a very nice one. Being Aussie I've seen a few and they're not all as lovely/symmetrical as that one, and they tend to venture into greens a bit too, not just blue (although maybe my local bowers were a bit colour blind). I identify with the bower birds because I am a bit of a collector too when it comes to fabric. I think it's much better to collect photos, at least they don't take up as much room. Wonderful post, thank you for sharing your thoughts on everything. Bower birds are fascinating, I have studied them on my travels across Australia and find them infinitely interesting. The way they keep on building up these spectacular nests no matter how often the prospective "wife" kicks hell out of it, shows some pluck. My memory, like yours, works in a special and unusual way, failing badly in expected sectors and unexpectedly outperforming in others. All I can say is be careful what you wish for, if we exorcise our demons then our angels may leave too (Tom Waits). This!! Florence, you know I always treasure your writing. Of course it's always the piece as a whole, but there's always something that catches my eye in particular and makes me laugh: "I believe that a bowerbird would truly appreciate some Tana lawn, but I think trusting in wind-dispersal as far as Australia and New Guinea, where the birds are found, is overly-optimistic." As with Rose, I was also put in mind of Edmund White's Le Flâneur by your post . . . I need to re-read it now that I've been living in Paris for seven years. What a lovely post! I really enjoyed the video- thank you for sharing! It's really amazing to me to think of animals having a sense of beauty and aesthetics. So interesting!